Plant - Can you tell me what the round green leaf plant is to the bottom left of the steps? Thank you!! Can it take morning sun, afternoon shade? That would be perfect. Just make sure the soil stays evenly moist. Good luck! 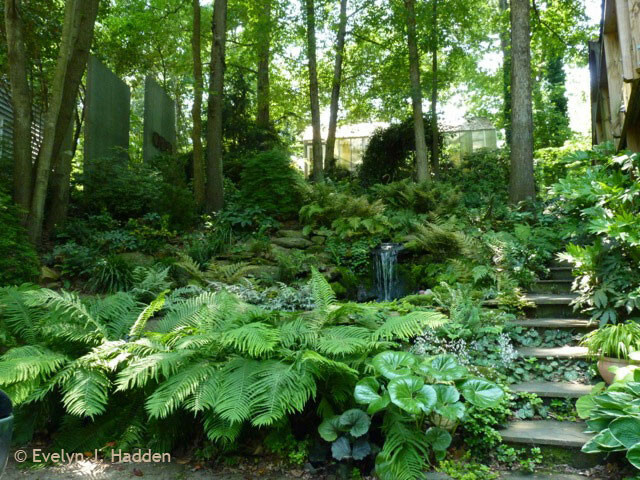 I love this for the back yard with the ferns, stone slab steps and the water feature.